If you’re on Pinterest or Facebook, I’d really appreciate it if you could use one of the buttons above, thank you!! Nothing says summer like red, ripe tomatoes fresh from the garden. Nothing makes me give thanks for summer like a fresh tomato pie! I don’t have a big garden at my house, but not for lack of trying. You see, I have very fat, happy, and mischievous squirrels, rabbits, and various other critters. They gobble cucumbers, disconnect baby cantaloupes from the vine, pick my pecan trees clean, and even dig up and relocate plants from time to time as the mood strikes them. I am fully capable of using a bb gun along with various other measures to rid myself of these critters but truth be told, we just enjoy them so much and get far more giggles than stress over their antics so I leave them be. Besides, we do have a truce of sorts – they let me grow tomatoes. 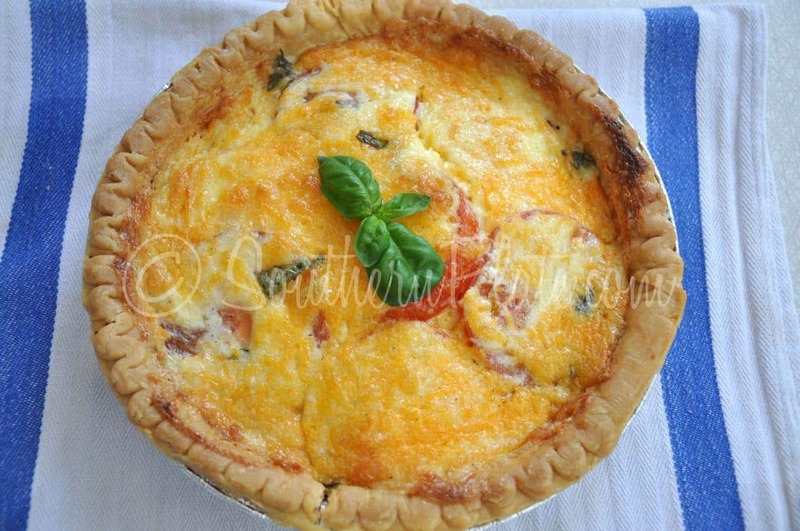 As long as I can do that, I get to keep my Southern citizenship and make yummy things for you like this tomato pie. I think the rabbits and squirrels tipped each other off this time though, and we were spared a scene from “Predators of the Fat and Happy” . 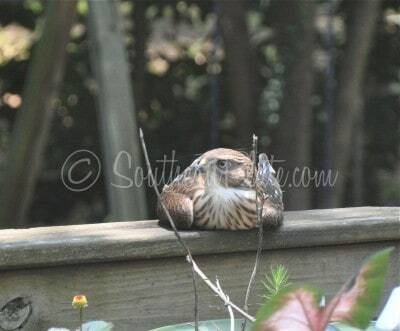 Clearly, the hawk came, placed his order, and got tired of waiting. He left after an hour or so but he is still hanging around. Eventually one of our poor Henry’s will bite the dust (if you’ve been with us a while you know that all of our squirrels are named Henry). Oh…pie. Tomato pie. Got ya, I’m on it! 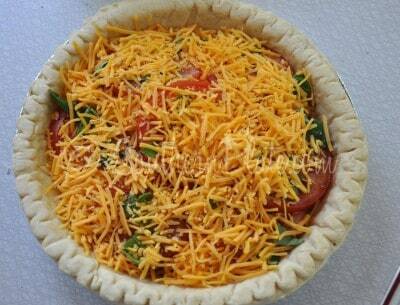 You’ll need: 3 or 4 tomatoes, cheddar cheese, mayo, fresh basil leaves, balsamic vinegar, kosher salt, and pepper. You’re also gonna need a regular pie crust, already baked. Wash and slice your tomatoes. There is an important decision to make at this point. Do you want your tomato pie juicy or not? I like mine juicy, so I’m going right on ahead from here. If you want yours to be less juicy, take these tomatoes and sprinkle a little bit of salt on them, then put them in a colander over the sink and allow to drain for about ten minutes. They’ll still be somewhat juicy but not nearly as much. 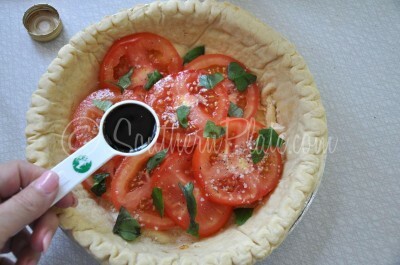 This will make your tomato pie slices come out prettier. I suggest doing this if you are serving it to company. If you are serving it to family, just skip this step because they know you can cook and they’d rather have a big old slice of juicy tomato pie! 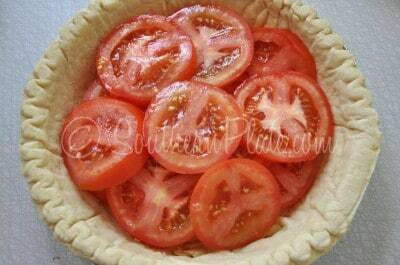 Arrange 1/2 of those gorgeous tomato slices in your baked pie crust. Sprinkle 1/2 of your salt and pepper over them, then tear up some basil leaves and sprinkle those over them, too. Now take one teaspoon of balsamic vinegar and drizzle that over them. Now spread the mayonnaise over the top of it all. If you don’t like mayonnaise, don’t worry. You’re in good company. Not once in my entire life have I ever said “OOOH yum, mayonnaise!”. So if you don’t like mayonnaise, whenever you see me using it you should know that you aren’t going to end up with a mayonnaise taste when you’re done. So it’s safe mayo not-likers (because calling us mayo haters is just too harsh). Go ahead and spread that mayo because this stuff is gonna be good! Bake at 350 for 30 minutes or until it is lightly browned like this. Serve warm or cold. 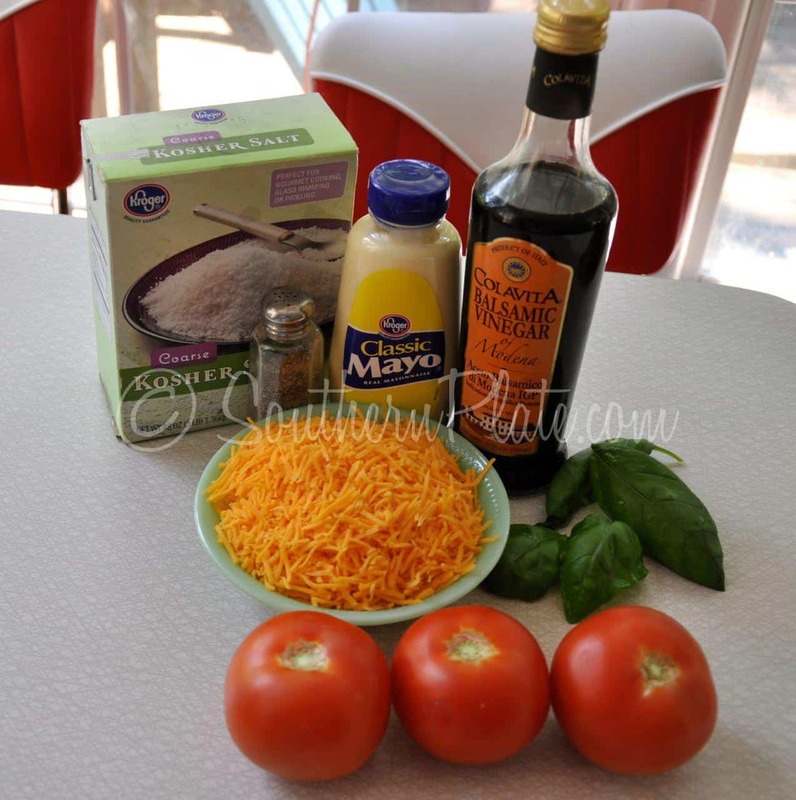 For another one of my favorite tomato recipes, click here to learn how to make tomato mozzarella melts. Place in colander and sprinkle with ½ teaspoon table salt. Allow to drain for ten minutes (can skip this step if you like). Arrange ½ of tomato slices in baked pie crust. 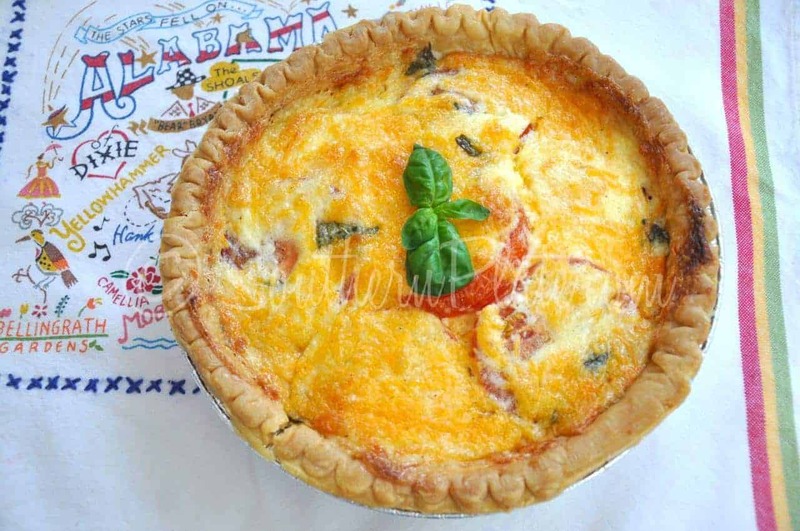 Top with ½ of kosher salt, ½ of pepper, ½ of basil, ½ of vinegar, and ½ of cheese. 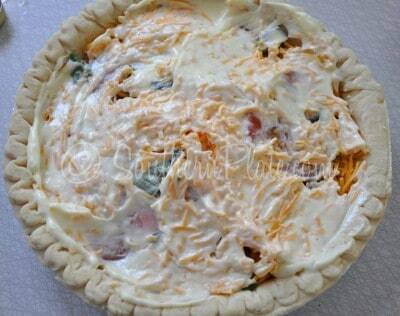 Spread mayo over top of pie. Bake at 350 for 30 minutes or until lightly browned. 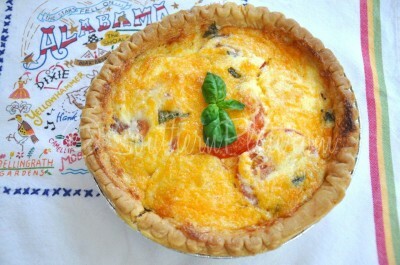 I make a very similar recipe but it has a potato crust. You can use hash browns or simply grate a potato or two, mix it with a little oil or buter, spread in the bottom and up the sides of your dish and bake it for about 20 minutes first before adding the other ingredients to finish the dish. now that sounds delicious, too!! 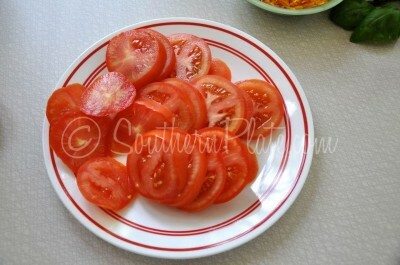 Got plenty of tomatoes – may try this recipe today! Looks great. Oh, this will be a summer recipe for years to come! 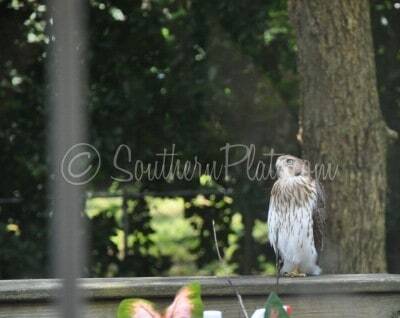 By the way, I have a pair of hawks nesting in a tree in my yard. They sit on the backyard fence and watch my garden. Are they looking for the fat rabbits who ate my beans and peas to the ground?? That is a great idea Becki!! Thank you for sharing it with us!! Each time I see a new recipe of yours I just have to try it! Was a bit skeptical about this but knew my hubby and son-in-law would like it! 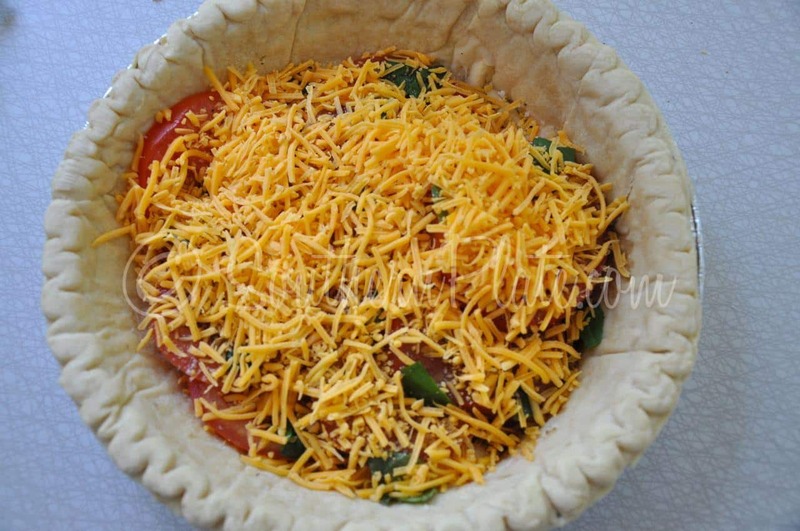 Using the wonderful easy pie crust recipe, I made it exactly as you said..it was absolutely wonderful and myself and my daughter both tried it and liked it! I never even cut the skin off the tomatoes and it was great! This was most definitely a “grand slam” like every other recipe I have tried..how can they possibly just keep getting better each time..BUT they do! Have not tried 1 recipe that wasn’t great! Keep on posting! Oh my goodness, you are so sweet Mary!!! 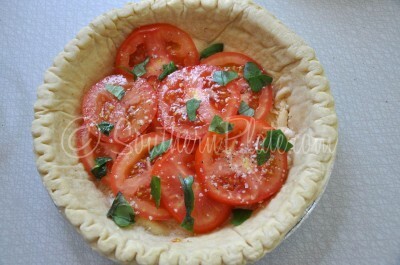 I am so glad to hear that everyone liked the tomato pie, even if it started out a little skeptical. I could eat the whole thing myself!!! I just made this and can’t wait to cut into it! A little confused though, the recipe says ‘a baked pie crust’ but shows an unbaked one. I knew though that if I used a baked one all I would have would be black crust, so common sense prevailed and I used a store bought unbaked one. Thanks for all the wonderful recipes you give us! Oh my goodness…….finally got a little piece of heaven. This is fa-bu-lous!! It will even be good cold I think but don’t think theres much chance it will last that long. YUM! This is the first recipe of yours I’ve made – it will NOT be the last! My husband took one bite and complimented me!!! Thanks for sharing. This is so good and easy to make. I’ve make over three so far and they are always good. I sweat the tomatoes so there’s not to much juice in the pie,thanks for that tip. Thanks for sharing this recipe. What to do with all those tomatoes from my garden? Thanks for a good idea. 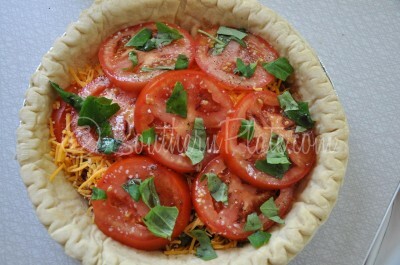 Don’t know why I never heard of tomato pie until I saw this recipe, but I made it today for lunch. My wife and I ate half of it! And most of the rest tonight. This is definitely a keeper! I am so glad to hear that you liked it Bill!!! I am so glad to hear that your family liked it!!! The changes sound great, and I think you might be right about the bacon!! Nice write-up and column (animal watcher/lover here), did a search after hearing a quotation from Supreme Court Justice Scalia regarding what’s made in Chicago as not being pizza but Tomato Pie. Since reading the comments, I’m thinking of trying it with crispty bacon added in layers and put it in corn bread rather than the crust, though that sounds delicious also. It is beautiful! It just came out of the oven. I hope it tastes as great as it looks! can’t wait to make it ! Thank You Christy the word at my house when something is Good is.. it was OUTSTANDING! and that was the word today. Very disappointed in pie. Made it exactly according to the recipe, and it was a gloppy, oversalted mess. Hey Mona! Sorry it didn’t work out for you! I’m often a gloppy over salted mess myself, but my tomato pie hasn’t ever been so I guess I’m blessed. 🙂 there are some helpful tips and tricks for avoiding this in the post above. OK, for all y’all that had problems with it being too juicy, I’ve figured it out! I made this today and I drained my tomatoes about half hour because they were real juicy. I patted them dry so no dripping juice. Yet, my pie was REALLY juicy, a lot messy and soggy crust. It tasted DELICIOUS though. So I thought on it a while and then it came to me! I bet this recipe was done with the pre-shredded cheese. Pre-shredded cheese is coated with corn starch to keep it from sticking to itself. That corn starch would surely take up some juice like if you put it in a fruit pie. I shredded my own cheese so it didn’t have a bit of corn starch in it. I bet those that had their tomato pie turn out too juicy shredded their own cheese too! So next time I’d sprinkle a little corn starch with my cheese or buy pre-shredded cheese. My hubby thought it was delicious too! Made this for company last night. Everyone adored it. I didn’t have balsamic, but I did have balsamic glaze; worked just as well. Used tomatoes from my garden. Four people ate the whole thing, and the recipe was shared! Thanks!! I am so glad to hear everyone liked it!! I just wanted to let you know that I made your tomato pie for the 2nd time this weekend. My husband doesn’t usually express much opinion on my cooking beyond “It’s good, it needs salt,” etc. This weekend he said, “That tomato pie might be my favorite thing you’ve ever made. When are you going to make another one?” Girlfriend, that’s high praise in my house! I am so glad to hear that it was a hit Becki!!! 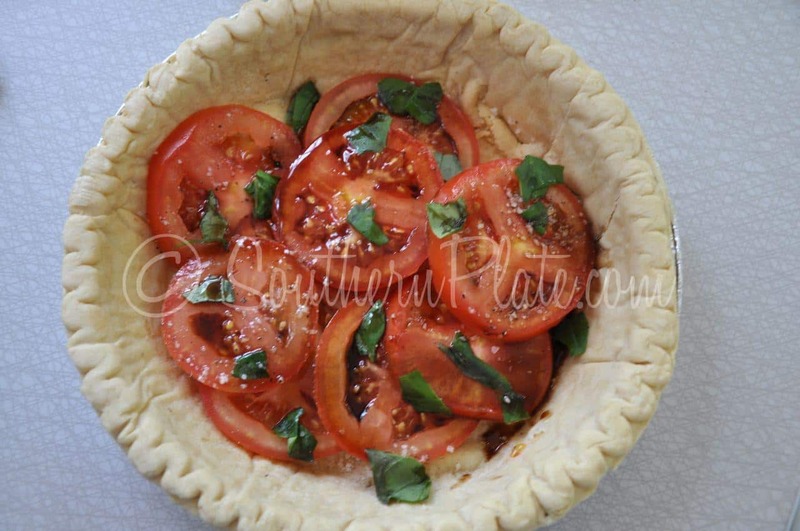 I have been asking people for years if they have heard of tomato pie, everyone says no!! My great grandma used to make this for us and I could never get enough (she had a special way of making us eat our veggies). Thank you, thank you for this recipe! I am so happy that this is one you have been looking for Tammy!! Thank YOU for being such an encourager to me!! I made this tonight. I put lots of basil, had a lot of basil, cheese and bacon on top. So very good. FINALLY….this is the best recipe website I came across that does NOT require A LOT of ingredients! Thank you Christy Jordan and keep up the excellent work! I LOVE, LOVE, LOVE tomato pie. After enjoying the tomato pie at Green River BBQ in Saluda, NC, I make it as they do – without a crust. It is delicious even without the crust and there’s no problem with a soggy crust. I cut back on the salt because more can be added when served if preferred. 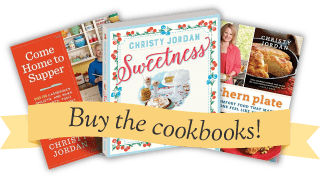 Just discovered your website tonight ~ I’m having a ball looking for new recipes! So, I started thinking about tomato pie and what would make it even better…and, when the native tomatoes are ready here in another month or so, I’ll add some cooked crumbled bacon on top of each layer of tomatoes. Doesn’t that sound sinful? Made this tonight and instead of regular pie crust made the crust from spaghetti squash. I also used mozzarella cheese. Yummy! Thanks for posting this recipe. I am looking forward to trying it. I am a Mayo person. MMMM! Looks delicious! If you don’t have the balsamic vinegar, can you use white distilled vinegar? I have never kept balsamic vinegar on hand. Thanks!